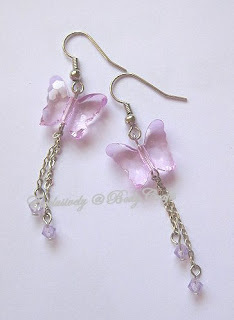 Items stated 'SOLD (Remake available)' - meaning the items are sold but I can still reproduce another piece. 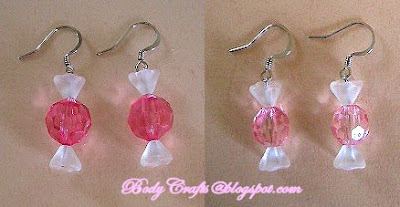 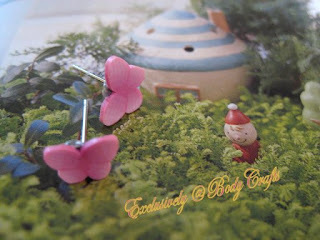 Materials : pink butterfly, earstud. 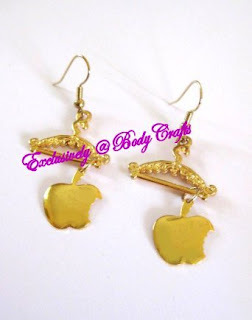 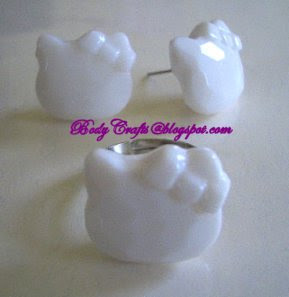 Materials : Gold plated ear-ring hooks, the bitten apple and hanger charms. 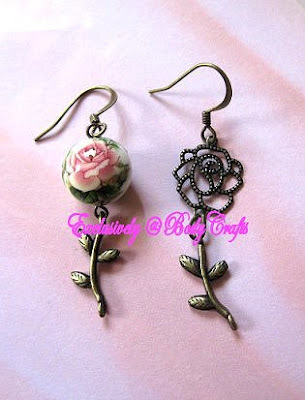 Made of antique color rose with stem and tensha bead. 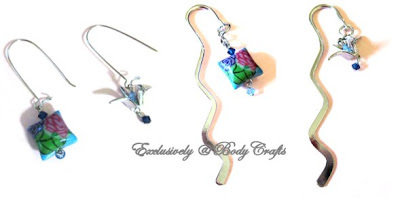 Materals : Handmade polymer pillow by Yan, 3D silver origami crane, light and dark blue Swarovski crystals. 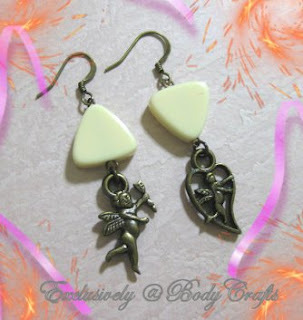 Made of triangular beads and angel charms. 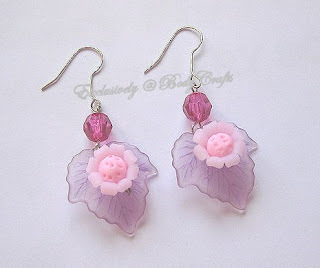 Made of purple lucite leaves, pink clay flowers and dark pink beads. 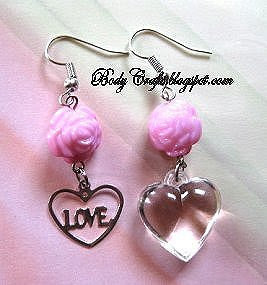 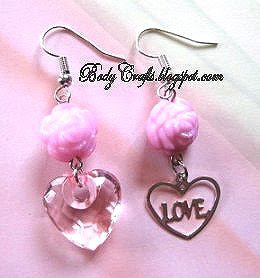 Made of sweet pink roses, love beads and charm. 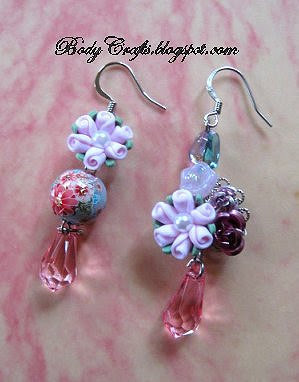 Made of pink pearly clay flowers from Japan, tensha bead, pink roses, glass flower wired work and pink acrylic beads. 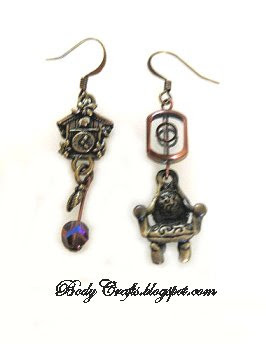 Made of a kuku clock, a chair charms with rectangular and a unique cut czech beads. 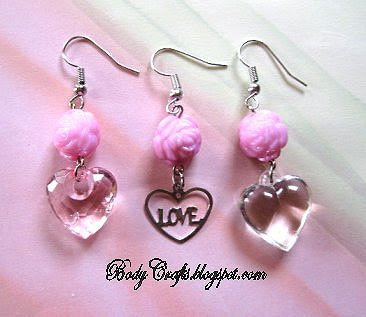 Made of rectangle with diamond shape cut czech beads, a haunted house and chair charms and unique cut czech beads. 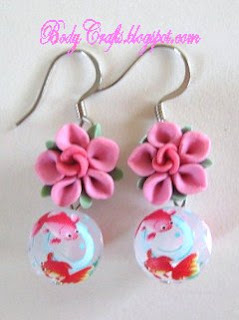 Materials : Goldfish tensha beads and clay flowers from Japan. 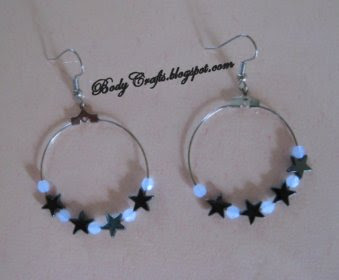 Materials : silver loop with barley beads and dark silver stars. 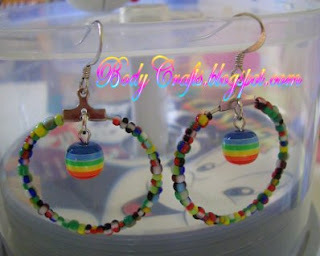 Materials : silver loop with colourful beads and rainbow beads. 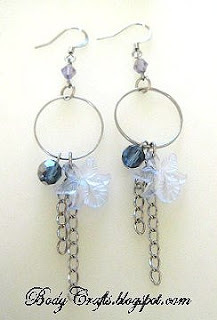 Materials : silver loop with orchid flowers, czech beads and rhodium chain. 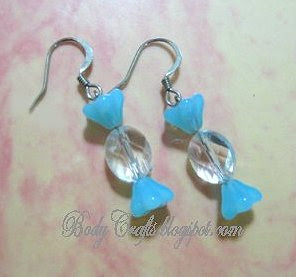 Made of oval shape beads with blue glass flowers that form into candies. 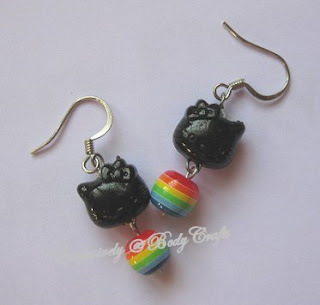 Made of black hello kitty with rainbow beads. 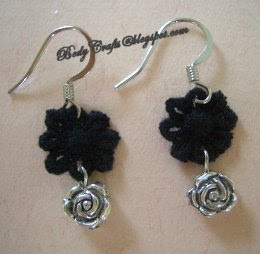 Materials : black flower with rose charms. 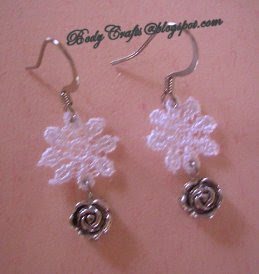 Materials : white flower lace with rose charms. 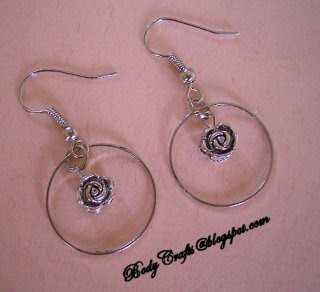 Materials : silver loop with rose charms. 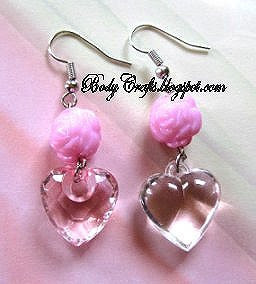 If you are interested in an item but already sold, I can do a remake for you but subject to material availability.